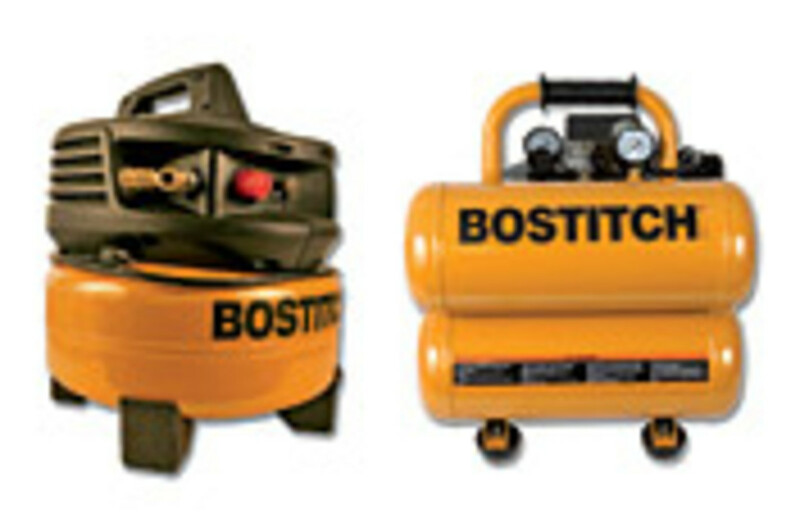 Stanley-Bostitch has unveiled two air compressors for cabinetmakers, finish carpenters, remodelers and roofers. 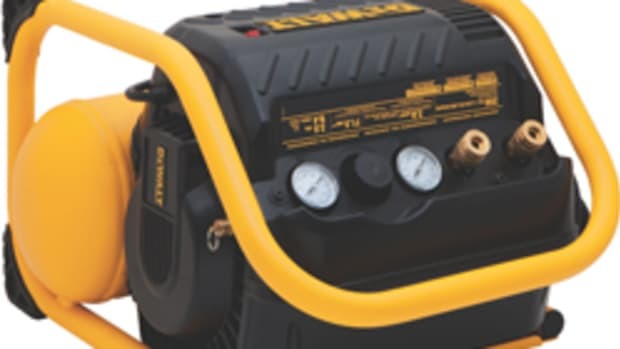 The compressors are an upgrade over previous units and contain an oil-free 2-hp pancake compressor and a 3-hp stack compressor. 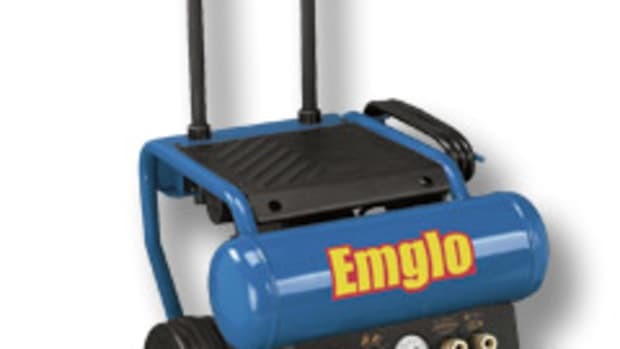 The six-gallon oil-free pancake compressor provides 2.8 cfm at 90 psi with a maximum operating pressure of 150 psi. 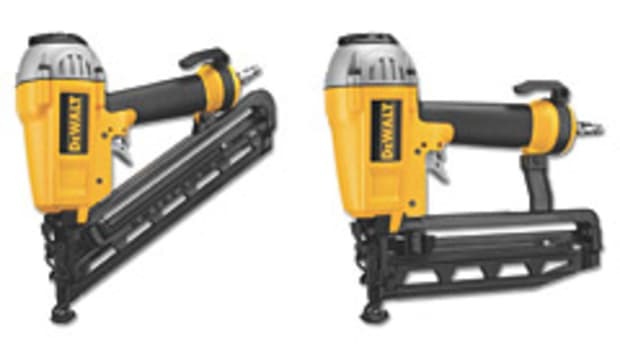 The air flow is more than sufficient to operate multiple finish nailers/staplers simultaneously or drive a large framing nailer. 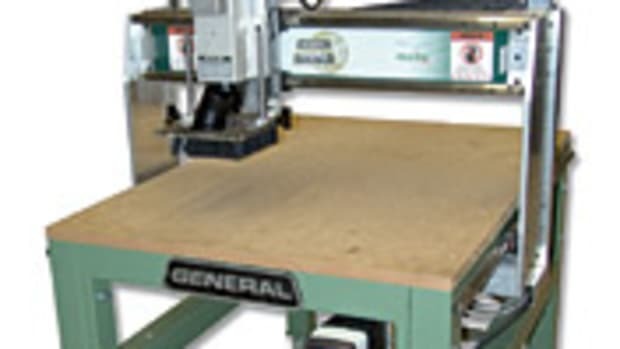 The unit is designed for trim carpenters installing molding, cabinetry, or window and door casings. 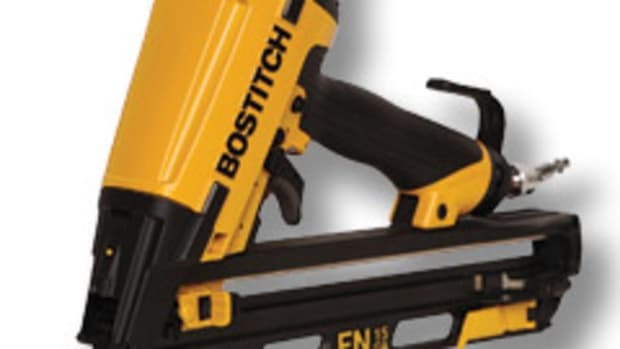 “If you’re a finish carpenter trimming out homes or a remodeling contractor, and you’re not running multiple tools at one time, like three finish nailers to trim out a house, I would recommend the pancake compressor, the CAP2000P,” says Gary Blanchette, product manager for Stanley-Bostitch. “The reason for it is it draws a lot less amps; it’s only about a 10-amp draw. The pancake model has two couplers, while the stacked tank unit only has one. 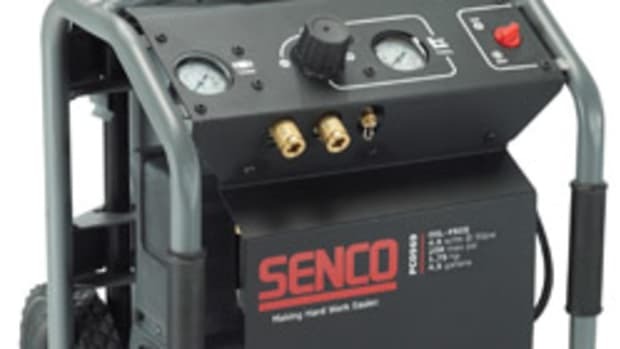 Users will likely put the compressor away from where they are working because of the noise, and then run a 50&apos; air hose to a three-way splitter. 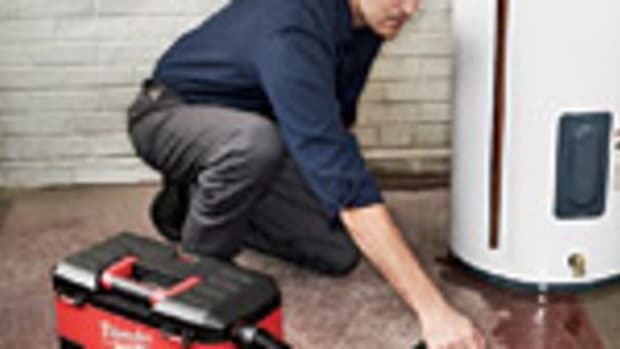 The compressor market for contractors used to be of the “one-size-fits-all” mentality, but that has changed during recent years. 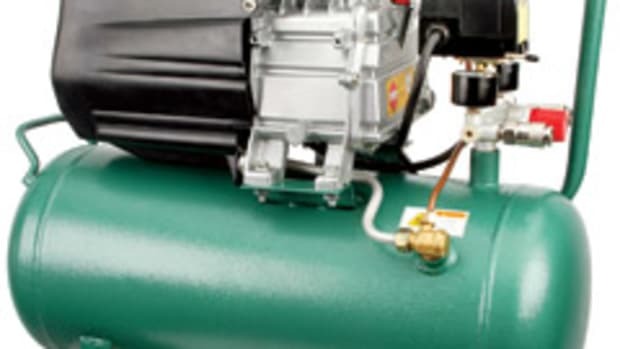 In the woodworker market, the mainstay compressor delivered anywhere from 3 to 4 cfm of air. But the reality is pneumatic tools, especially finished tools, have gotten more efficient and smaller, and therefore use less air. The stack tank model is suited for the remodelers who do a variety of work, including framing and roofing. 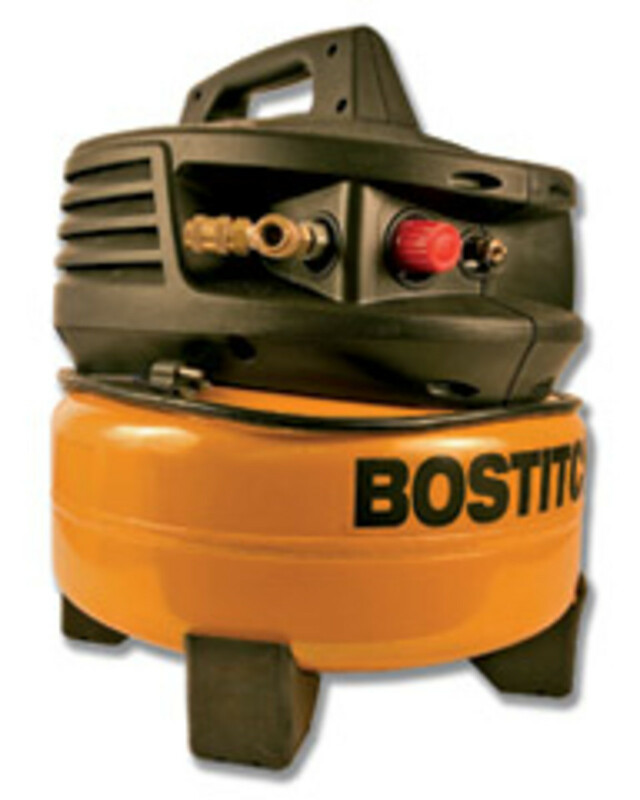 The four-gallon unit has an oil-lubricated pump, which provides the user with increased durability. The only required maintenance is changing the oil. The stacked tank develops 4 cfm, compared to 2.8 cfm in the pancake-style model. With the 4-gallon tank, the recovery time is fast, so the user shouldn’t have a dip in air pressure. 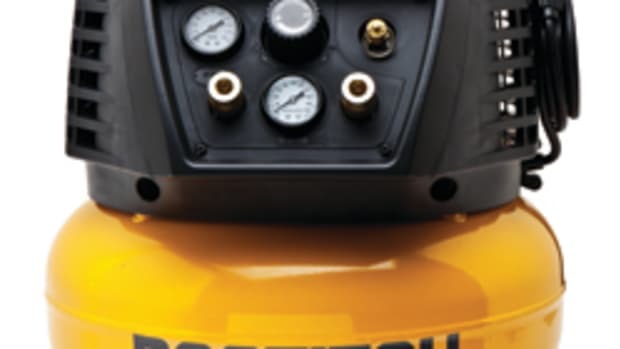 The stack model also features a roll bar handle; crankcase cover, which provides an oil fill and drain funnel; a shroud and oversized pump head to achieve cooling efficiency; and an angled dip stick. Both units also feature two gauges for monitoring tank pressure and regulated pressure. The Stanley-Bostitch six-gallon, oil-free pancake model weighs 39 lbs. and sells for $179. 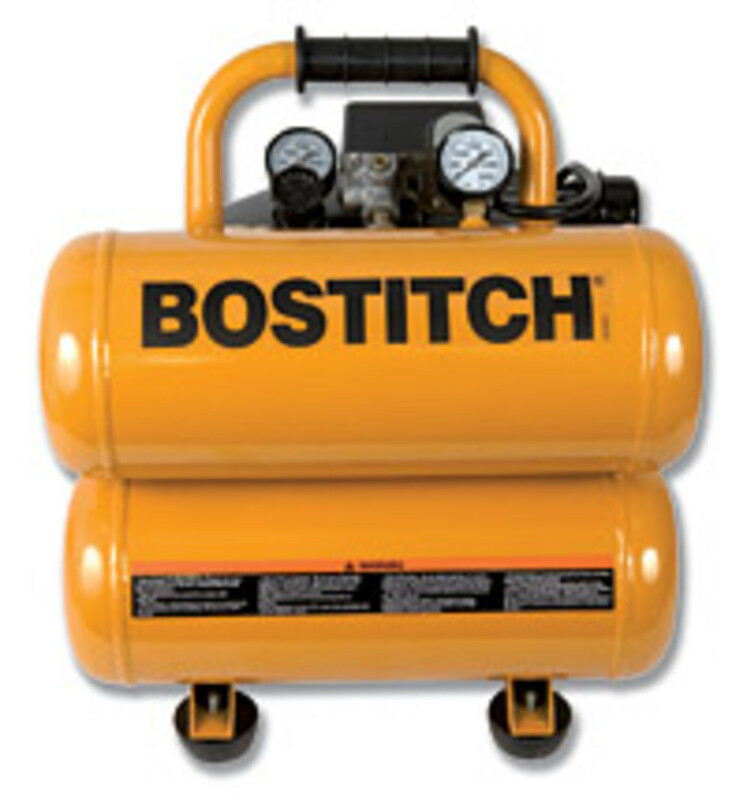 The four-gallon stack compressor retails for $279.